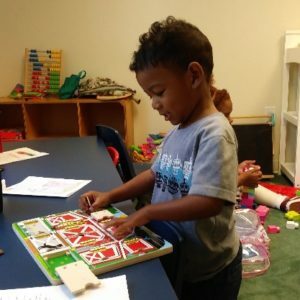 St. Edward’s Nursery Ministry is growing! We would like to have enough volunteers to create a rotation of two different caregivers each week at each worship service. We currently have a need for two more volunteers for the 10:30am service, and up to eight volunteers for the 8:00am service. If you enjoy holding babies and playing with toddlers this is the ministry for you–please consider donating your time to the nursery one Sunday a month. Contact Erica for more information. Thank you! Our goal is to provide a safe, nurturing environment for infants and children up to 4 years old during the 8:00am and 10:30am worship services. Care will be provided by volunteers from the congregation. Nursery volunteers must be at least 21 years old (or at least 16 years old if working with an adult), have taken the Safeguarding God’s Children course through the Diocese within the last 3 years, and have a current background check.